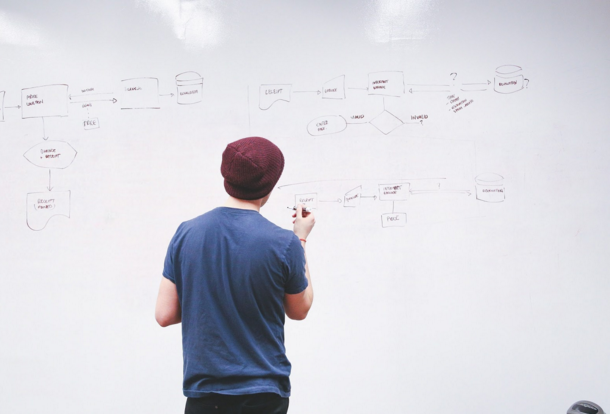 Software and web development are two industries on the rise. Software development in particular is expected to grow by 22% in the next 7 years, adding approximately 223,960 jobs according to the Bureau of Labor Statistics. Web developers can also look forward to a similar job growth at a rate of 20%, faster than the average for most occupations. Both industries also report high rates of self-employment, which is why Payable wanted to help web and software developers compare which cities provide the biggest bang for their buck if they were to freelance. In addition, with remote freelancing on the rise for tech jobs, this list can also help developers determine which markets offer the highest salaries and rates. Where do developers earn the most? We compared the most recent salary data (May 2014) for developers to gauge not only compensation, but also local demand. Which cities already have high percentages of self-employed developers? 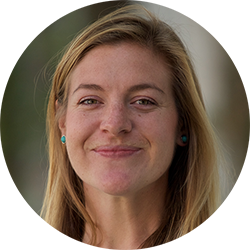 We took into consideration where developers are already going solo. These cities most likely have higher demand and better networks for self-employed developers. How affordable are living costs? We analyzed the median cost of rent in each city against mean earnings to determine where developers can earn the most while paying the least for housing. How affordable is health insurance? Lastly, we compared health insurance costs per city to provide another important factor for self-employed developers who have to often cover their own insurance. Prices listed represent the cheapest available Silver Plan for non-smokers. For affordability and high wages, head South. The Bay Area and Silicon Valley are known hubs for software developers (with Silicon Valley developers reporting the highest national wages) but many southern cities aren’t that far behind. Tulsa eked out ahead of the rest with a combination of high wages and incredibly low costs of living. 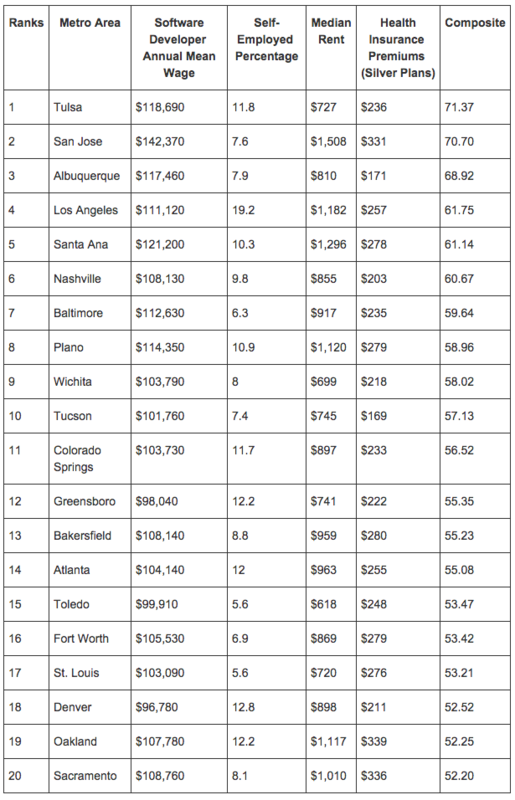 Albuquerque and Nashville are two other cities in the top 10 that balance high salaries with low living costs. California leads the country in freelance developers. Cities like San Jose, Santa Ana, Oakland not only offer high salaries but also report high percentages of self-employment. One of the top ways freelancers cite finding new gigs is from other freelancers -- these cities show high rates of self-employment indicating strong networks to potentially tap into. For web development the South is also rising. Similar for software developers, the Bay Area and Silicon Valley lead the nation in high salaries but the South isn’t too far behind. 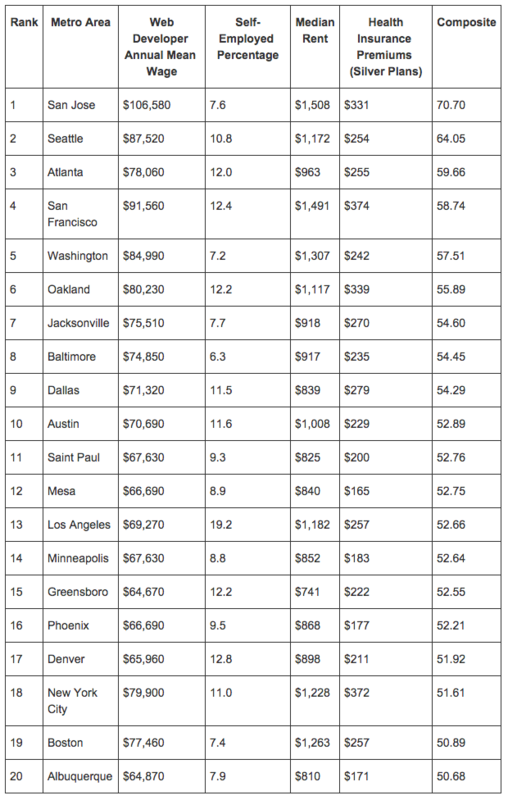 Atlanta, Jacksonville, Dallas and Austin round out the top 10 with markedly lower costs of living and mean salaries all above $70,000.